Mary Lee Robinson is an Author, Blogger, Certified Grief Coach, American Assoc. of Christian Counselors, a speaker, and a proud member of the National Grief & Hope Coalition. 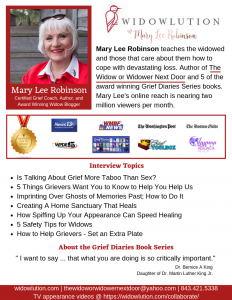 Mary Lee Robinson is an author, blogger, grief coach and widows advocate. Widowed suddenly in 2013, she found very few resources available to her to help heal her broken heart. Many of the members of her family, including her late husband, were widowed. Her grandmothers were widowed twice and her favorite cousin who lost a husband to suicide and a grown daughter to an embolism. Even her grandfather was widowed. In her bones, she felt compelled to work on behalf of the widowed to fill the gap in support for the grieving. Mary Lee began a widows club that boasted 170 members in the first year. She then began writing and currently has six books completed to date. Mary Lee also has a blog, sort of like an online magazine for widows, and is excited to be working on several new projects. Mary Lee’s personal touchstone has become red-headed woodpeckers. Woodpeckers symbolize purpose, persistence, opportunity, progress, creativity, and communication. That must be why woodpeckers appear to her whenever her late husband wants to message her. They were his favorite bird. The blog, Widowlution is new, beginning in earnest in February of 2019 and is her second blog since 2016. It is Mary Lee’s hope to bring inspiration, hope, encouragement, and information to the grieving. In addition to inspirational quotes and articles, she is bringing products and strategies to the attention of a population whose needs have suddenly changed. The demographic for all of her media platforms are widows and widowers aged 45 to 70, both male (25%) and female (75%) who reside all over the USA as well as the British Isles, Canada, and Australia. Almost all are active on Facebook, about 70% are active on Pinterest. Her readers and followers are enthusiastic social media rookies with rookie social media technical skills and most receive her posts on mobile devices. Few of her niche readers are active on Twitter, but her professional associates are. The reader’s other interests include home décor, healthy cooking and recipes, travel, fashion and makeup, inspiration and quotes, and some are avid readers. Most have a need to learn about home and personal security as well as financial organization, management, and planning. At present, there are countless grief writers and posters on Facebook and very, very few on Pinterest. While many are addressing deep grief and grief support, there are none found that are approaching the practical aspects of adapting to widowed life and all the changes that bring. Arenas such as meal planning and cooking, building a new social life, interior design, reinventing one’s fashion appearance and home security are all in transition upon the loss of a spouse. 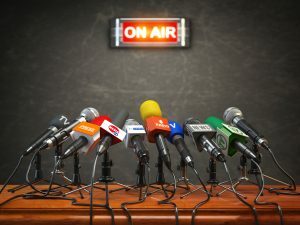 Her hope is to fill that vacuum and fill an unmet need with informational and educational blog posts, videos and pins. In short, she wants to lead a “Widowlution”! Current sponsors include Lower Cape Fear Hospice, WPDE TV ABC affiliate, WRNN talk radio, Crady’s Restaurant, Coffee Nerd, Christ Above Politics and Encore Florals & Gifts. Mary Lee Robinson welcomes the opportunity to collaborate with companies who serve the needs of her cherished Widowlution followers. Products and services that she believes can be a great benefit. They are a special group who are sometimes vulnerable, and for that reason, she reserves the right to decline such opportunities if she is not comfortable that the fit between the services or products of collaborators and followers is not a good one that is in the interests of her readers. Collaborations need not be limited to grief and bereavement products and services. Sponsor a Post– If you would like to promote content that is relevant to my followers for a fee, we could develop a plan together. Brand/Product Ambassadorship– At her discretion, she would be happy to explore representing your brand. 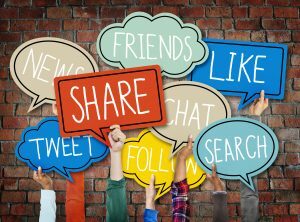 Whether a series of blog posts or mentions on Mary Lee Robinson’s social media, let’s talk about it. Advertise on Widowlution– I offer a variety of advertising options. Please contact us for rates. Giveaways and product reviews– Mary Lee has worked hard to build her following, based on trust with my followers. If your product is one that Mary Lee haw an opportunity to use, test and believe in, she’d love to write a blog post featuring your product enthusiastically. Giveaways are also an option, with the same caveats. Rates for giveaways are higher, as they require more work to manage and monitor. An affiliate program is being developed for those who would like to promote our products on social media for a small commission on sales made. Please stop back soon. Mary Lee welcomes opportunities to write product reviews, participate in product giveaways, sponsorship opportunities as well as media interviews. To contact her to pursue a dialog or request a media kit, her email is www.thewidoworwidowernextdoor@yahoo.com. Her mailing address is P.O. Box 51778, Myrtle Beach, SC 29579.